Well the months are certainly whizzing by again. 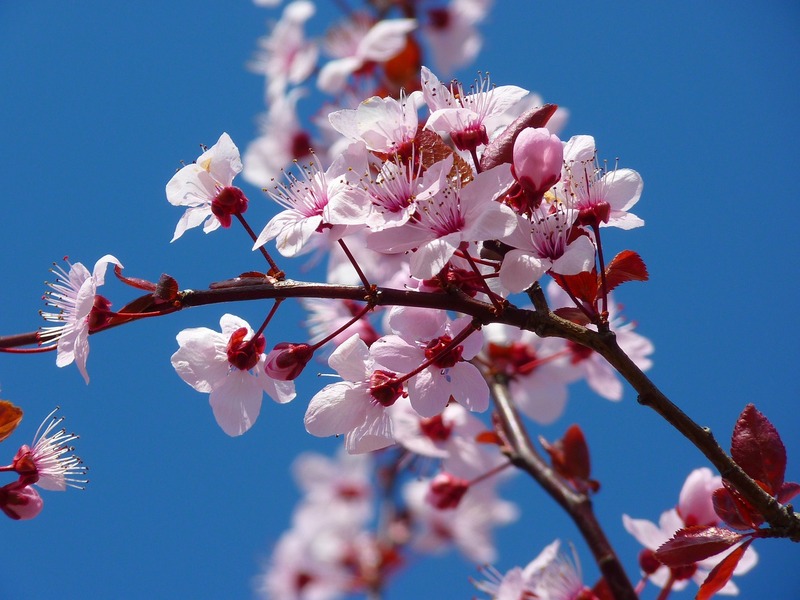 March flew over and I enjoyed seeing the brighter images of daffodils and tulips popping up all over my Instagram feed. 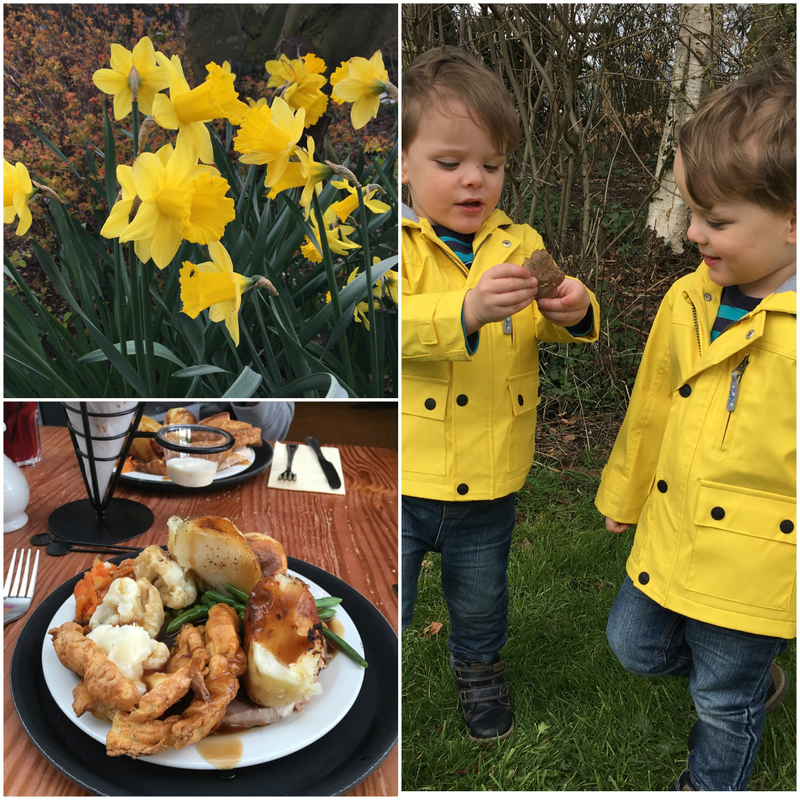 In my Hello March post, I listed all that I hoped to achieve for the month. So how did I get on? Well I didn't manage to arrange my planned afternoon tea for Mother's Day, as my Mum wanted to continue with the healthy eating she had carefully been sticking to for her impending holiday to Lanzarote, so I have put that one on the back burner for now. Wow! Those Crème Egg Brownies - we made them. There are pictures on Instagram and they were gorgeous. 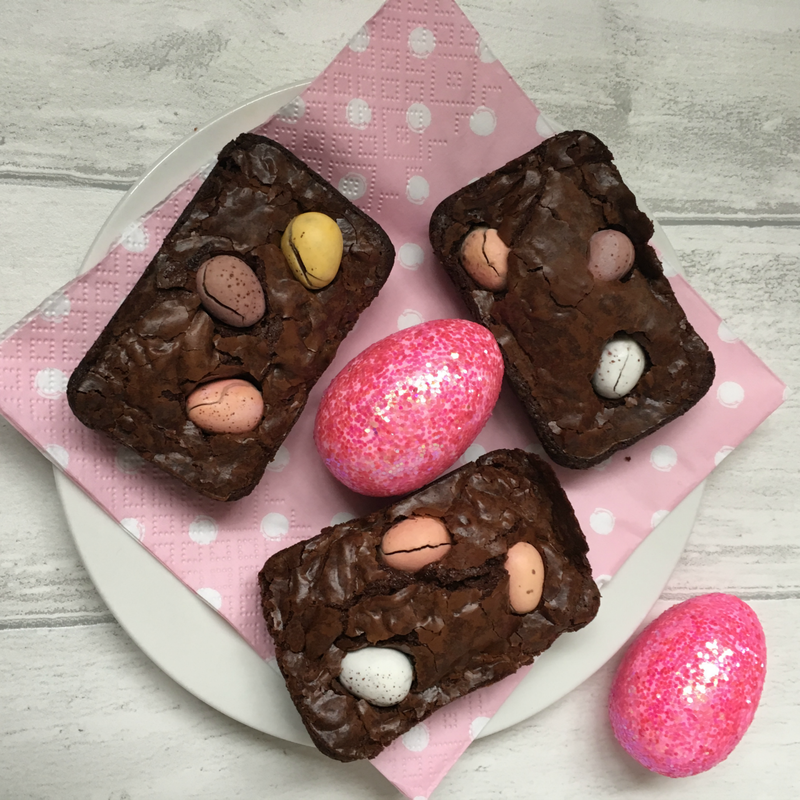 We also made them with mini eggs and they were equally as good. We decorated Harry and Matthew's bedroom. The walls are white and they have new white/grey tinged wardrobes. The way we have done it will allow me to change the bedding and curtains as often as I like now. 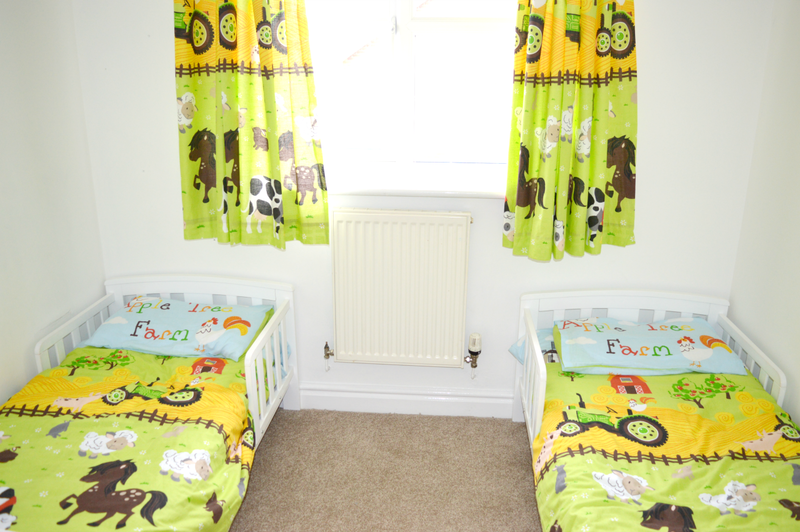 I am disappointed that I couldn't get the Beep, Beep bedding from Next - There was an 8 week wait, but we chose a lovely bright farmyard theme. And we got the yellow coats. We managed to get them from Sainsburys for £10.50 each as opposed to £22.00 in Next - Bargain when you need to buy two. I didn't buy the Yankee Candles in the Easter scents. They only had them in large jars (how annoying is that?) and I get fed up of the smell way before it is even half gone. So what are our plans for April? 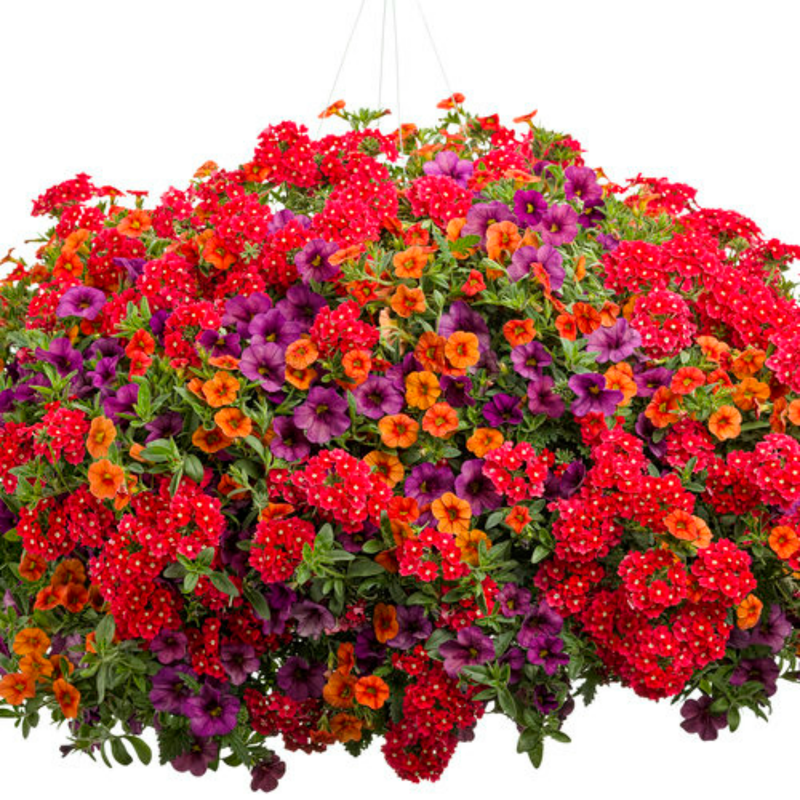 I would like to get on with planting up my hanging baskets towards the end of the month. I've been investigating colour schemes and really like the orange, purple and red in these baskets. For the first time I am also going to experiment with the ball shaped baskets - the ones where you plant flowers in the holes at the very start - wish me luck with that one as my fingers are only a very light shade of green. 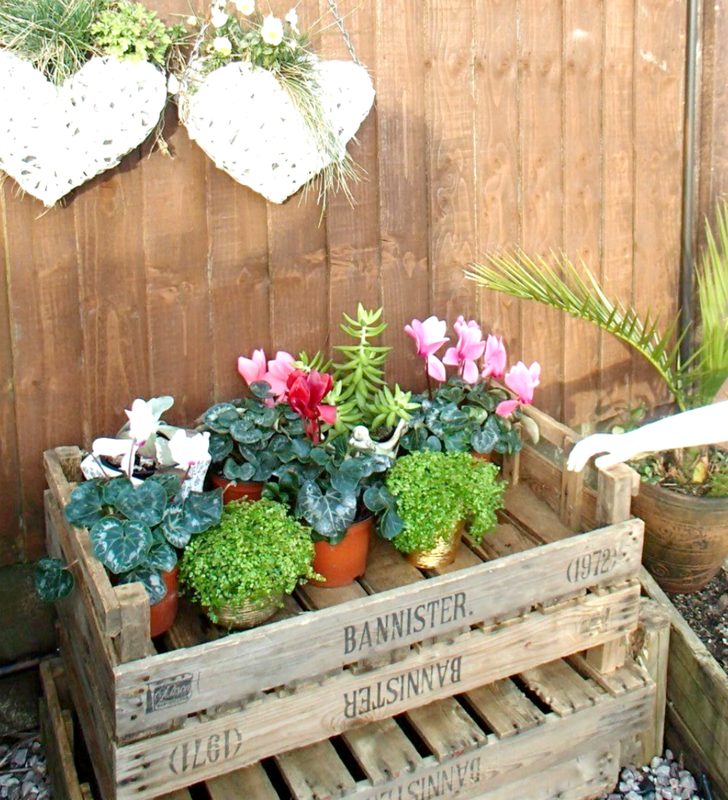 I've also got my eye on some rustic crates that I plan to make shelves in the BBQ area with. These are just £5.99 each on eBay. We have a mad busy month in our house in April for birthdays. It's Harry and Matthew's 3rd birthday on the 11th and five other relatives also have birthdays this month too. The theme for the boys' birthdays is Paw Patrol (obviously). The best places I have found for supplies and presents have been Amazon and Smyths Toy Stores. Watch this space for a post about how it all went. I would like to bake a cake in a loaf tin, this month, but haven't quite decided what type to make yet. I suppose I will get my inspiration from good old Pinterest. Apart from this, I haven't really got any more plans apart from a little spring cleaning with my new kit and organising the summer wardrobes whilst packing up the winter ones. Does anybody else store their autumn and winter clothes away? Keep your eyes open for posts, this month, to see how I've got on with my little projects. You baby me mummy and Mr & Mrs T plus Three for #The List here. Those brownies look delicious! Good luck with all those birthdays in April, we have loads in May so can relax for a bit, even though they are loads of fun they can be pretty stressful!